Fiberland offers 1000Base -T copper SFP 1.25Gb/s and 10/100/1000Base-T copper transceivers with stable quality and competitive price. These modules can be installed into optical SFP slots enabling an optical Ethernet port (1000Base-X) to be converted into a copper Ethernet port (1000Base-T) either in the field or in production. You can find original 1000Base-T SFP transceiver or Cisco GLC T (1000Base-T SFP module) at Fiberland, which are ideal for your optical networking. Duplex SC optical interface, Fiberland SFP 1.25Gb/s transceivers are designed to support SONET/SDH, Gigabit Ethernet, Fiber Channel, Optical Supervisory Channel OSC SFP and other communications standards. You may be want a 2.5G SFP module for your netwok, follow me to learn more about original 2.5G SFP module supplied by Fiberland. 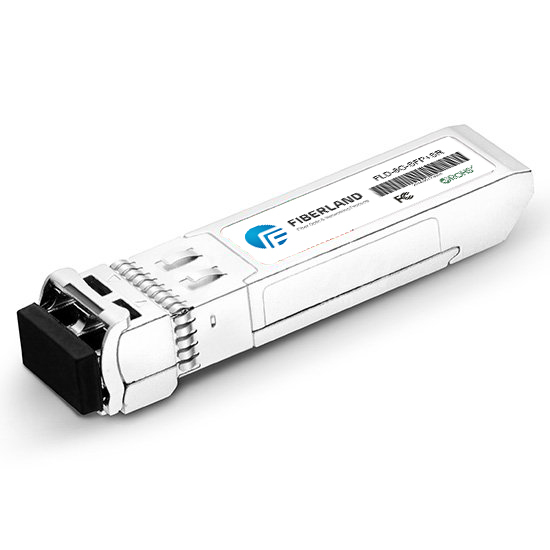 Finisar FCLF8520P2BTL SFP copper transceiver is compatible with Gigabit Ethernet and 1000BASE-T. Finisar FCLF8520P2BTL transceiver has a maximum reach of 100m at a data rate of SFP 1.25Gb/s. This product is hot pluggable featuring a compact RJ-45 connector assembly with metal enclosure. Fiberland offers cost-effective standards-based compatible SFP 1.25Gb/s Transceivers. As a 3rd party OEM manufacturer, our Cisco SFP transceiver is delivered to worldwide from our factory directly. All of our Cisco SFP module are tested in-house prior to shipment to guarantee that they will arrive in perfect physical and working condition. The Cisco SFP Transceiver is also named Cisco mini GBIC, although no device with this name has ever been defined in the MSAs.